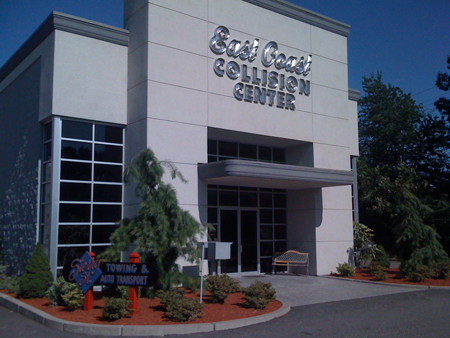 At East Coast, we're committed to making your collision repair experience as positive as possible. While it's not easy to turn an auto accident into a memorable service experience, our representatives are trained to do just that. Our staff has been through extensive training in order to provide our customers with accurate estimates, quality workmanship and friendly customer service. Our advisors are able to complete the estimate process quickly using the latest automated techniques. As an established collision facility, we supervise the insurance claim process by corresponding and coordinating directly with your insurance company to streamline the repair process. © 2009, East Coast Collision Center. Site Design by Page1 Strategies.